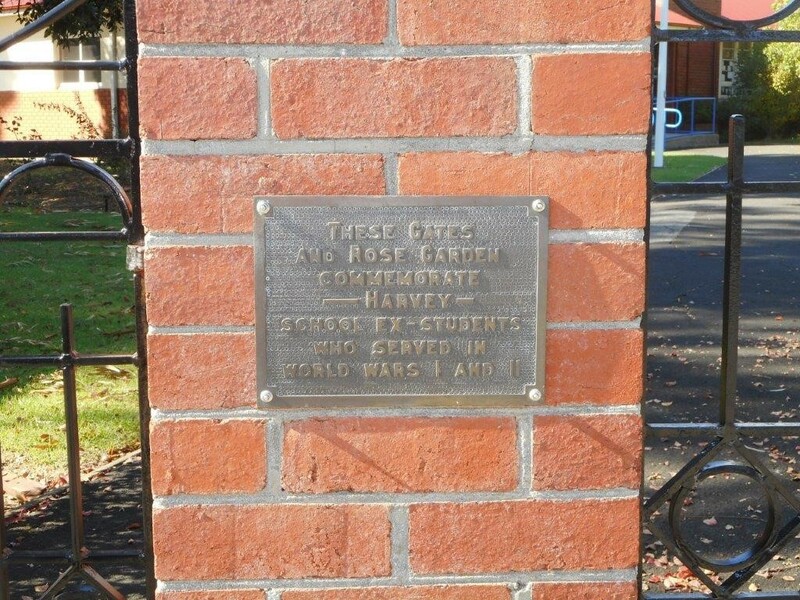 The photos and transcribed plaques show the memorials to ex-servicemen and women who attended Harvey Primary School. 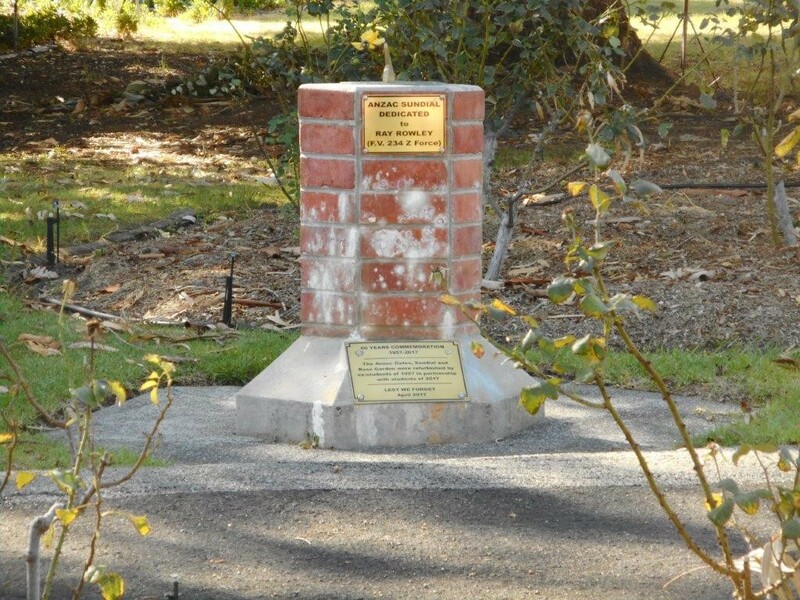 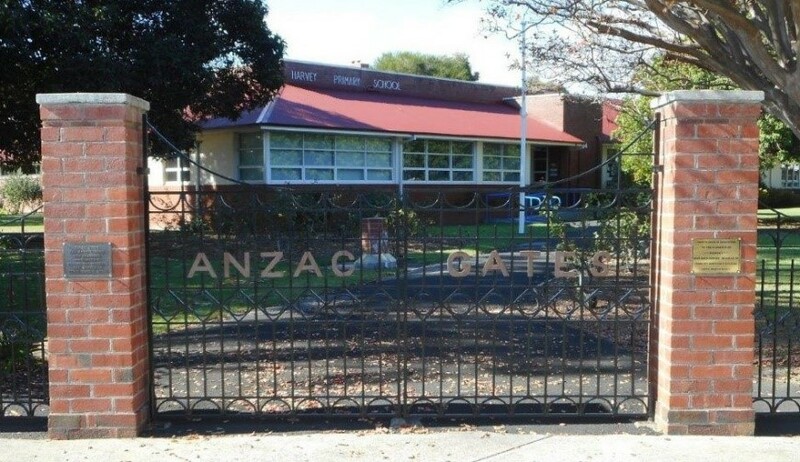 Harvey Primary School Anzac Gates and Sundial. 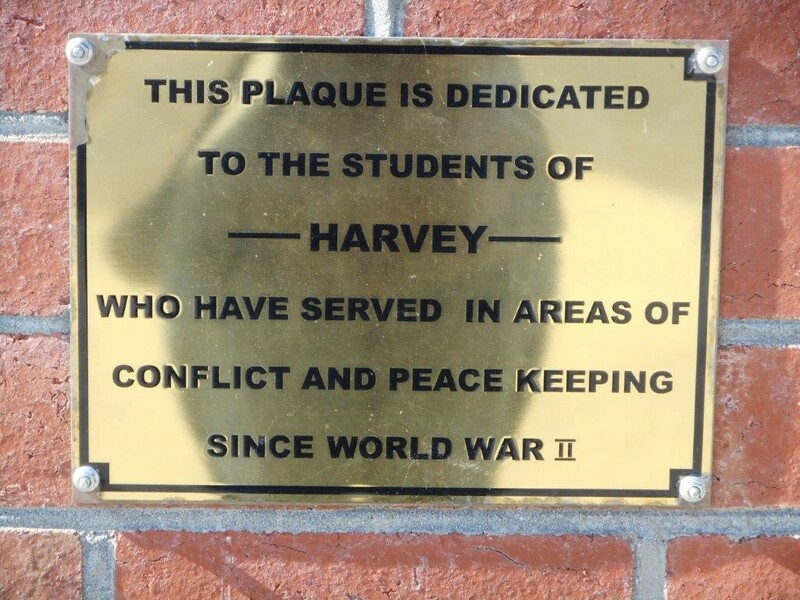 partnership with students of 2017.